Taiwan-born local actor-host Lee Teng used to be a nerd who looked up to street fashion icons such as Hong Kong celebrity Edison Chen. But since entering showbiz 11 years ago, the 33-year-old has prefered flipping through magazines for inspiration. Hecollaborated with Taiwanese superstars Jay Chou and Show Luo on their streetwear brands, PHANTACi and STAGE Singapore respectively. The latter, which Lee helped bring to Singapore, celebrated its ninth anniversary last month at Orchard Gateway. Lee told The New Paper: "When I stepped into showbiz... it required me to change into different outfits from time to time. I wanted to wear something I liked, so why not invest in a fashion business?" Growing up, his belief was the baggier the better. As he started earning more money, he began unleashing his creativity by mixing and matching articles of clothing to create his own look. "I take about 30 minutes to get ready each day and whatever I wear depends on my mood for the day. "I pre-plan in my mind. For example, if I am feeling Korean, I will throw on an oversized T-shirt, a pair of jogger pants and a jacket." The Singapore ambassador of US fashion label Hardy Hardy, who will be gracing the opening of its flagship store at Ion Orchard on Sept 16, has also committed his share of style boo-boos. Lee recalled sporting a bizarre ensemble comprising multi-coloured cap, white top with black polka dots, pink pants with white polka dots and teddy bear boots for an event five years ago. He said: "I was looking through my old photos when I saw that. I was so amazed because I did not know what I was thinking back then." The budding singer, who recently launched his debut single Fall In Love, owns about 50 pairs of shoes and his guilty pleasure is limited-edition designs. He stopped splurging on them as he realised they degrade after about two years. 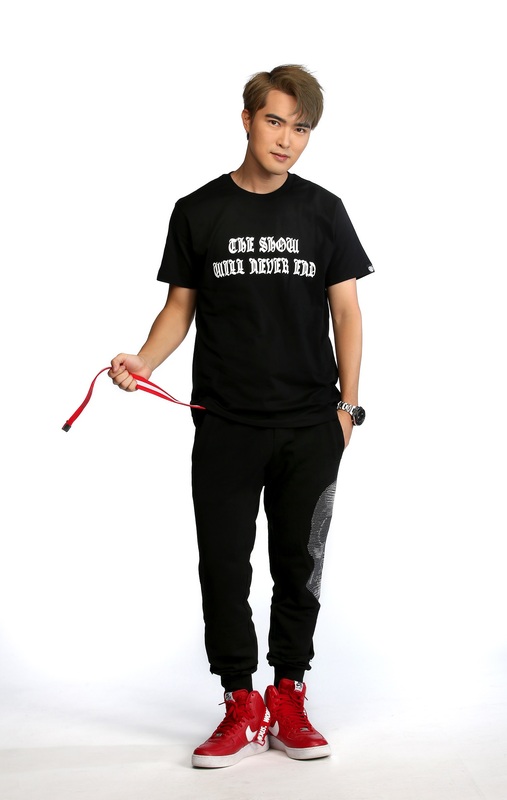 A symbol of his success, this limited-edition T-shirt was released in conjunction with STAGE Singapore's ninth anniversary. He said: "This was my first business venture and it is special to me because I never thought of making it this far." The top is paired with a STAGE belt, Hardy Hardy track pants and Supreme X Nike Air Force 1 High Varsity Red-White sneakers. "I bought it from a reseller because it was sold out at the stores. The retail price was about $200, but I got it at $800. "I really like it because it is in Supreme's original colour scheme, which is red and white." 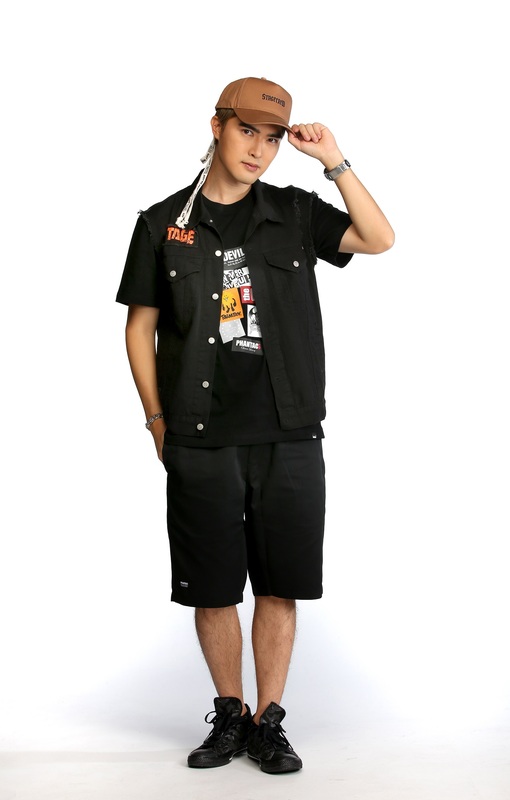 When he is not dressing up, you will see him sporting a simple T-shirt from PHANTACi, shorts, vest and cap from STAGE and Converse shoes provided by PHANTACi. He said: "I am quite laid-back with my casual wear. But if I find the T-shirt too plain, I will jazz it up by throwing on a vest or an accessory." He loves to experiment, and always turns to tailoring for formal events. Decked in a bold, retro maroon suit from Q Menswear and Aldo shoes, he said: "I watched (the 2014 Hollywood movie) Kingsman: The Secret Service a few years back, and I was inspired by the clean and sleek suits the protagonist wore." Streetwear is undoubtedly his favourite style. The denim jacket and skull T-shirt are from Hardy Hardy, and are paired with STAGE jeans and a Chrome Hearts necklace and bracelet. "I will wear this outfit on a date night because I look smart with the jacket," he said.